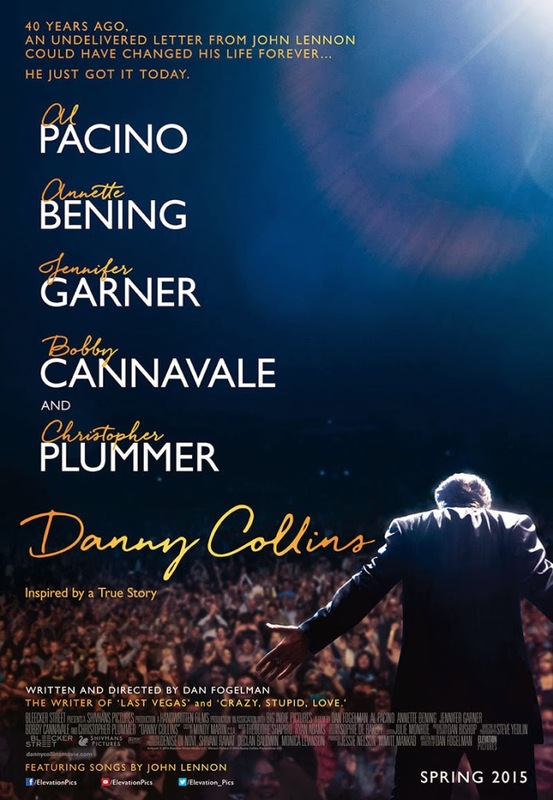 Al Pacino returns in Danny Collins, a story of second chances from the writer of Last Vegas and Crazy, Stupid, Love. Danny Collins opens in theatres on March 27 from +Elevation Pictures, but if you want to attend a sneak peek across Canada, you are in luck! Answer the trivia below for your chance to win tickets! Synopsis: Inspired by a true story, Al Pacino stars as aging 1970s rocker Danny Collins, who can't give up his hard-living ways. But when his manager (Christopher Plummer) uncovers a 40 year-old undelivered letter written to him by John Lennon, he decides to change course and embarks on a heartfelt journey to rediscover his family, find true love and begin a second act. Starring: Al Pacino, Annette Bening, Jennifer Garner, Bobby Cannavale, and Christopher Plummer. Update: Toronto (Etobicoke/Queensway) tickets are now available for the 19th. Those tickets will be given to the first people who answer the trivia correctly! Danny Collins stars Al Pacino and Christopher Plummer previous appeared together in which film? CONTEST CLOSED - THANKS FOR ENTERING! Danny Collins opens across Canada on Friday, March 27 from Elevation Pictures. *One entry email entry per person/household, please. Multiple entries will be deleted and marked as spam, as will multiple entries submitted under aliases, fake names, etc. Entries that do not include a city may be discarded. **a lot of Facebook comments/likes don't have corresponding email entries when I go to add the bonus entries, so if you go by a different name on Facebook, it might be best to include that info (and even your Twitter handle) in your entry email to make sure you get all those bonus entries!